When my husband saw me looking at this recipe from The Hungry Mouse, he begged me to make it. Apparently he wanted it so bad, he woke up early Saturday morning, grabbed my list, and ran to the store to get the buttermilk and bacon. These were easy, delicious, and gone in about a day and a half. I’ve never cooked bacon in the oven before, but I love the new method! Preheat your oven to 450 degrees. Line a sheet pan with parchment paper and set aside. 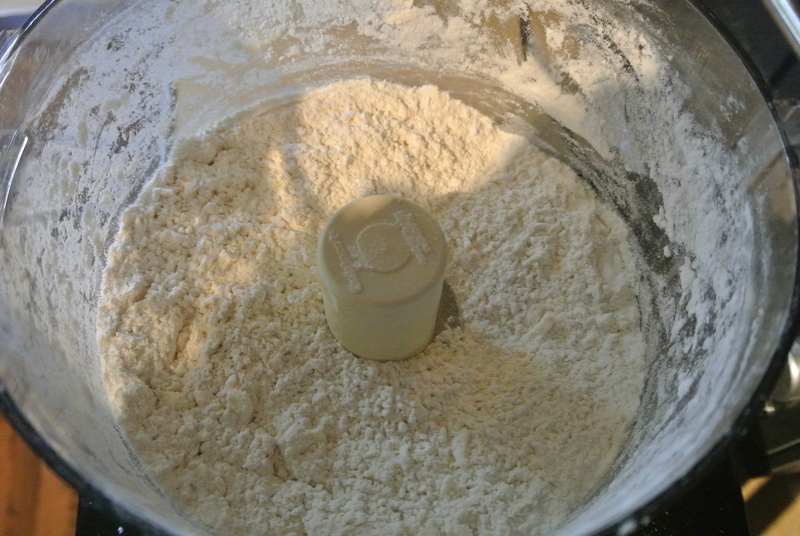 In the bowl of your food processor, put the flour, baking powder, baking soda, and salt. Pulse the ingredients a few times to combine them. At this point, take your butter out of the fridge. You will want your butter to be cold. Cut the butter into several pieces. Toss them into the dry ingredients in your food processor. 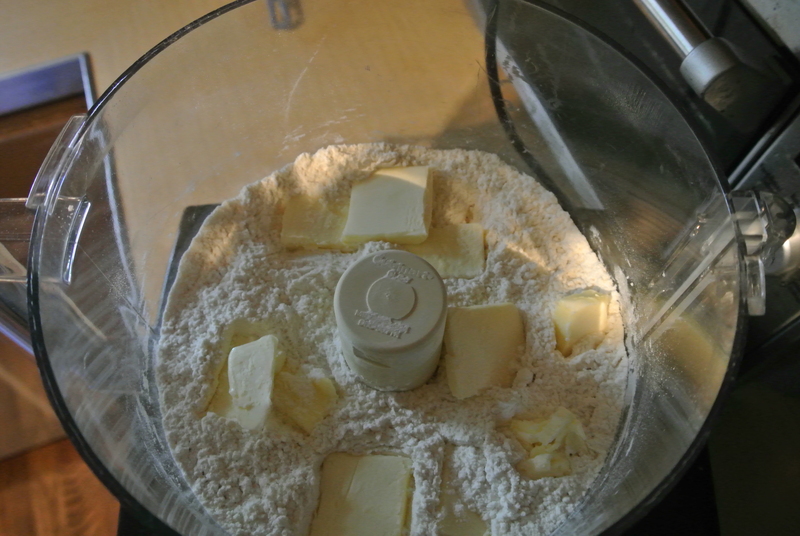 Pulse the flour and butter together a few times until the butter just starts to break down into pieces. There are a few things that make these biscuits fluff up in the oven. The moisture from these tiny pieces of butter is one of them. It turns into steam and helps leaven the dough. 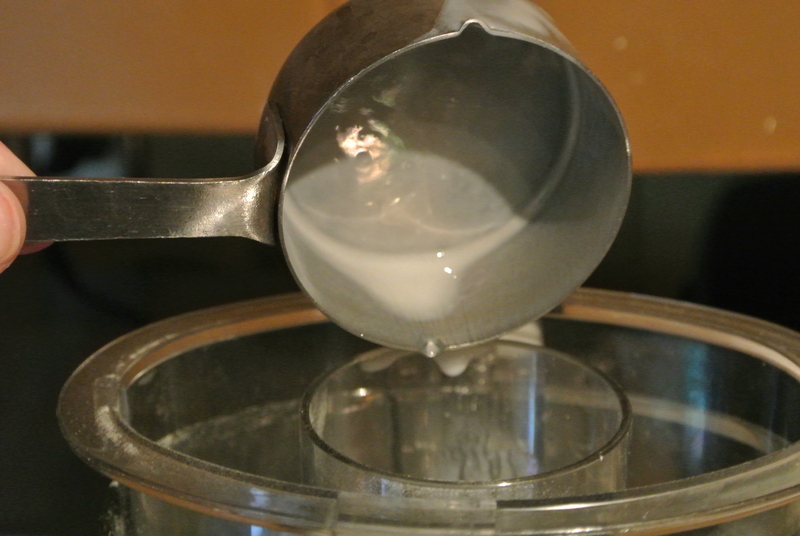 Drizzle the buttermilk in slowly, pulsing the dough as you go. 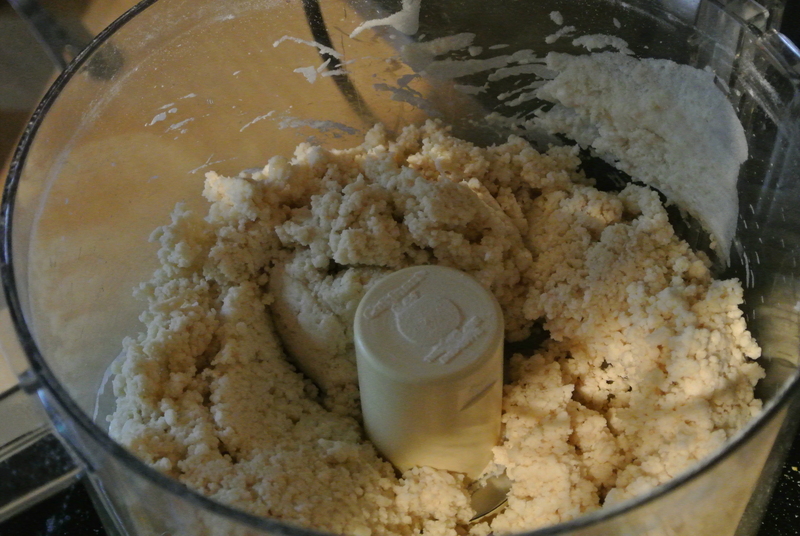 If you’re using a food processor, keep the top on and pour it through the feeder tube. If you’re using a stand mixer, keep the mixer on low and drizzle it in. If you’re doing it by hand, just pour it in a little at a time, mixing as you go. 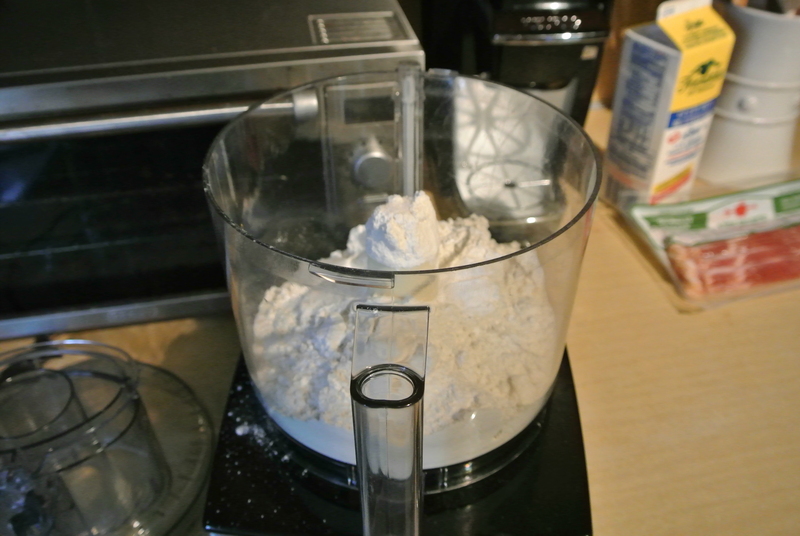 The goal is to mix the dough as little as possible. You just want it to come together and be raggy looking. That’s what helps create all those fabulous layers in your finished biscuit. 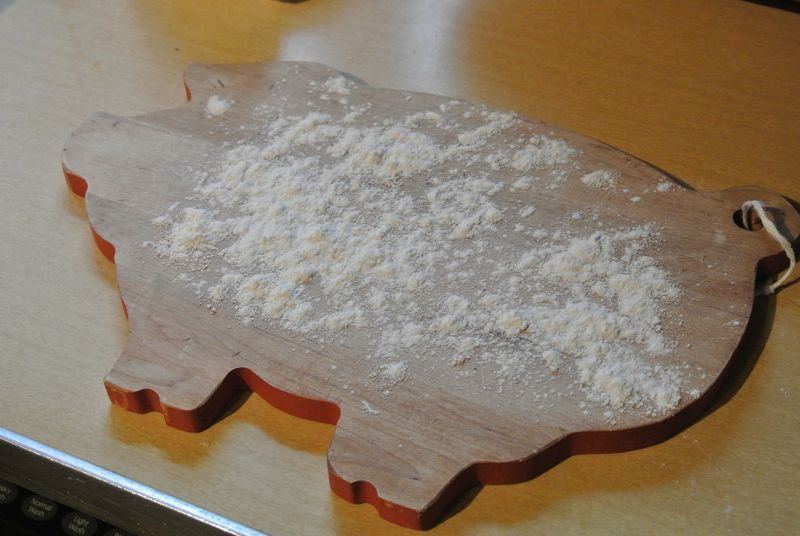 Flour a large cutting board or your counter. 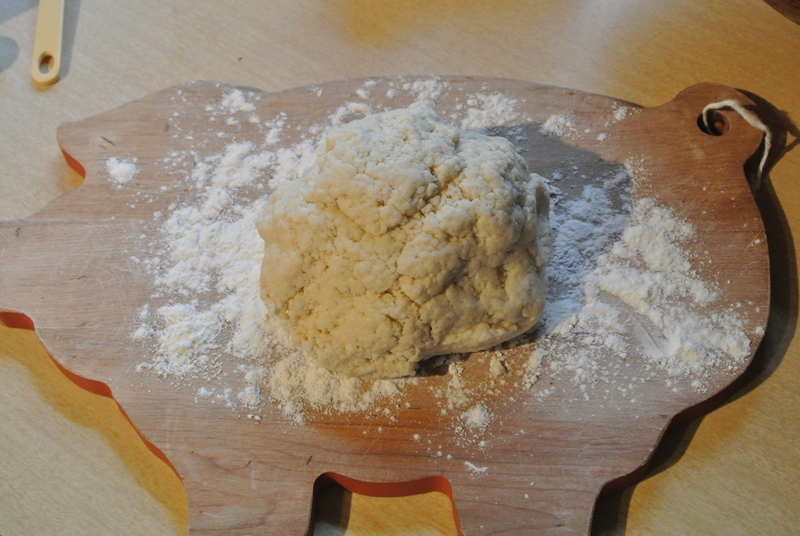 Press your dough into a rough ball. 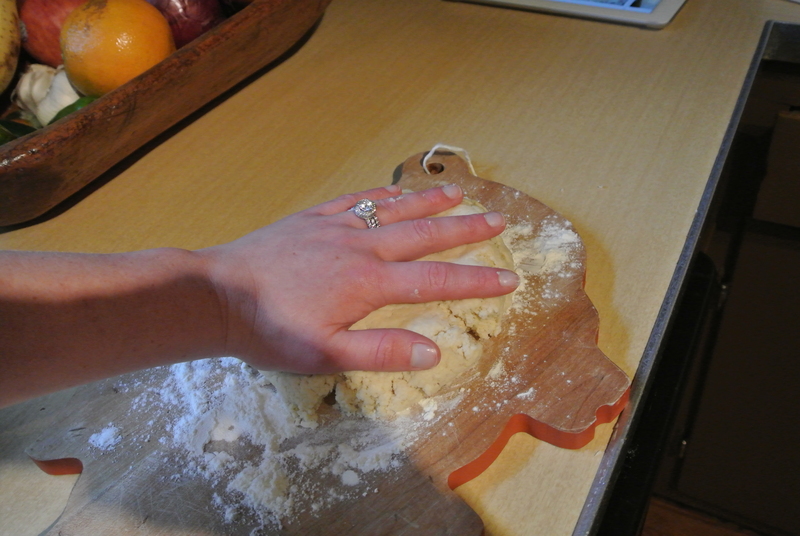 With your hands, smoosh the dough down until it’s flat. You want it to be about a half-an-inch thick. 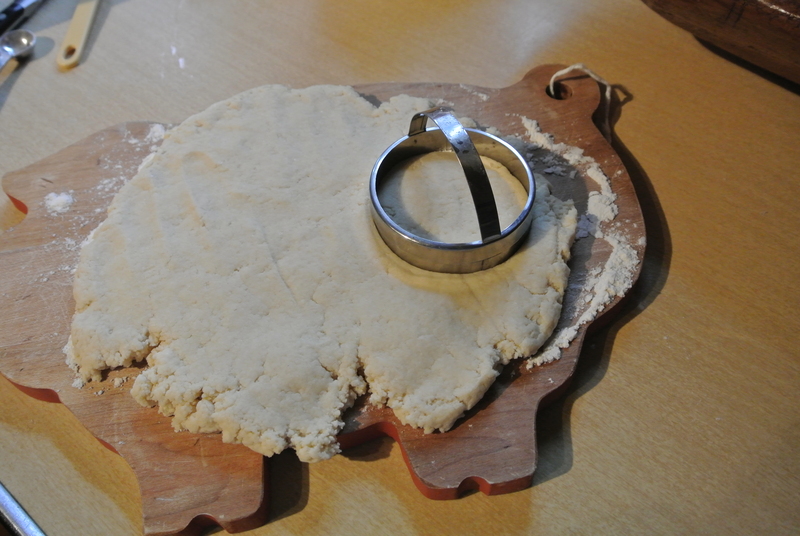 Cut your biscuits starting at the edge of the dough. 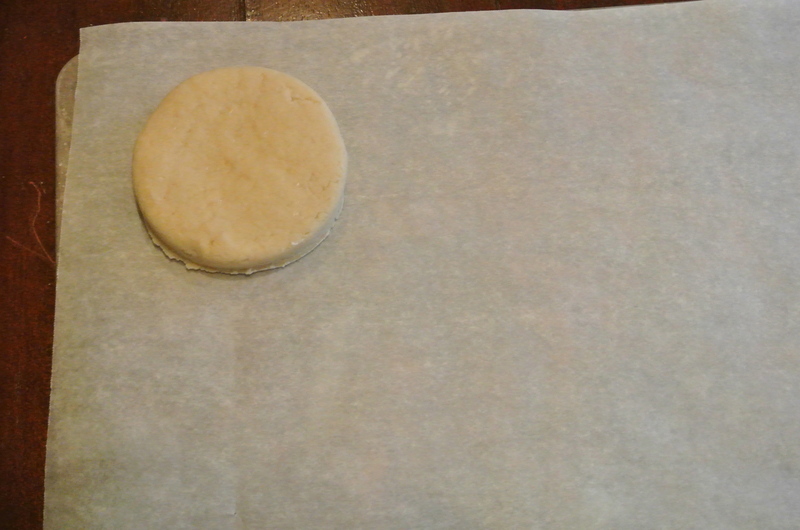 I used a big cutter, so the biscuits would be a good size for sandwiches. Pick the cutter up, dough and all. 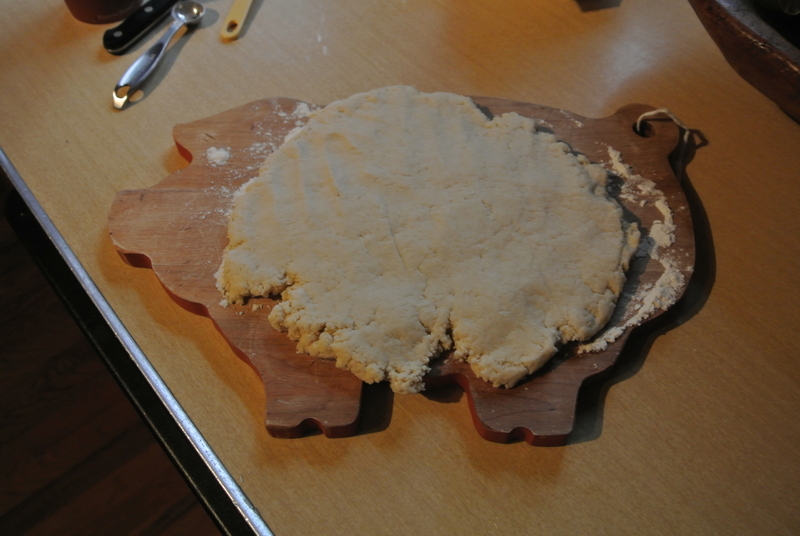 Pop the cut biscuit out gently. Set the biscuit on your prepared sheet pan. When you can’t get any more biscuits out of the dough, take the scraps, press them together into a ball, and mash the dough flat again. Keep doing this until you’ve used up almost all your dough. 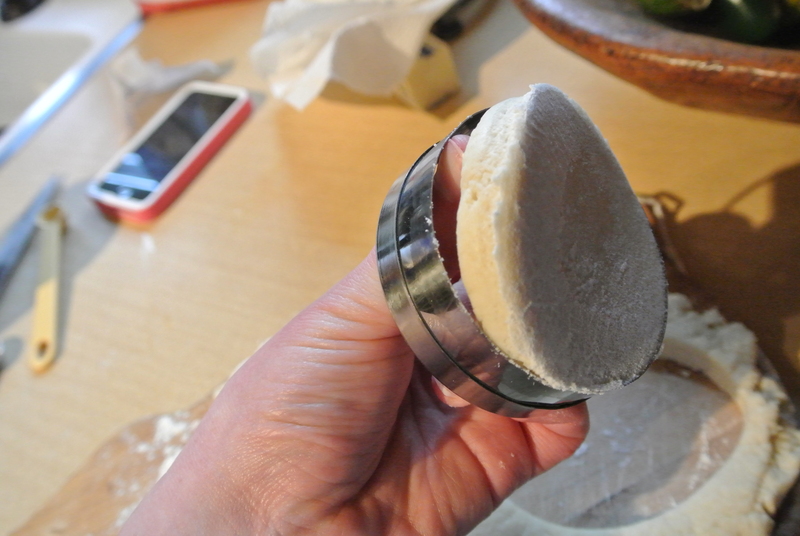 When you get to the last blob of dough, smash it just flat enough so you can trim the edges off with the cutter. Pop the the pan into your preheated 450 degree oven. Bake the biscuits for 10-12 minutes, until they’re poofy and golden brown on top. They’re done when they’re golden brown on top. I have never cooked bacon in the oven, but there are several benefits. 1) It tastes incredible 2) You pop it in the oven, and that’s the only work you have to do 3) It keeps your stove top from getting splattered with grease. Line a rimmed baking sheet twice with foil. Lay the bacon out flat and evenly. Put the pan in your 450 degree oven with your biscuits. 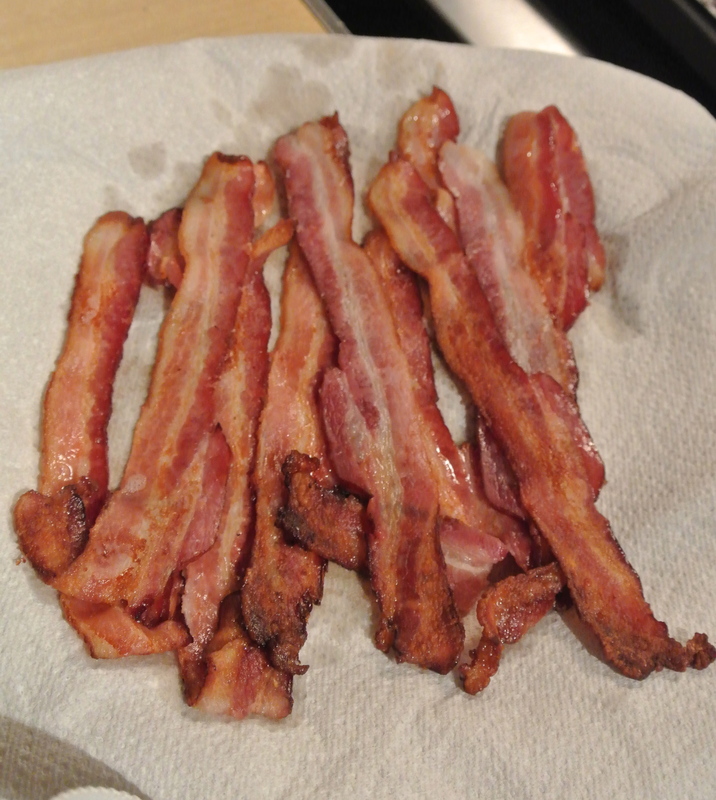 The bacon will take maybe 13-18 minutes to cook, depending on how crispy you like it. Just keep an eye on it. I took mine out after maybe 18 minutes. My oven seems to take longer to cook. When it comes out of the oven, you will want to sop the grease up. Set it on a paper towel lined plate. Press paper towels over the top, and most of your great should soak into the towels. Stick the bacon and the cheese on your biscuit. 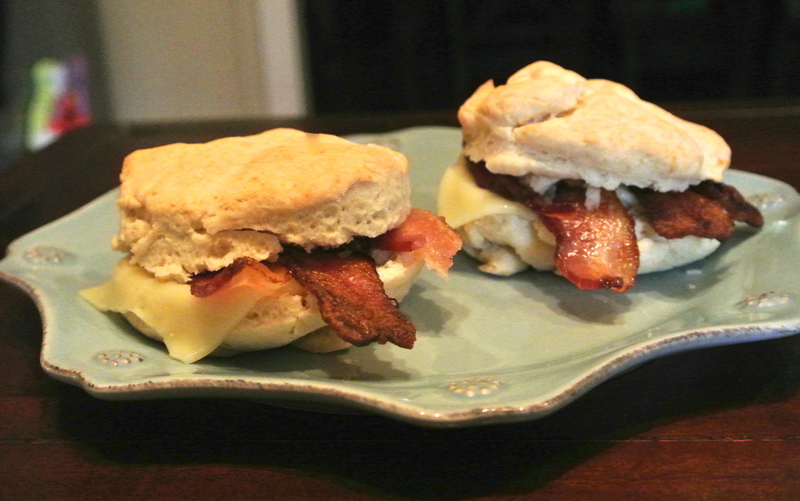 If you time it right, the bacon and biscuit should melt your cheese. If it doesn’t, stick the sandwich in the microwave for a few seconds. I personally like Bacon, egg, and cheese biscuits so next time I’m going to add eggs. 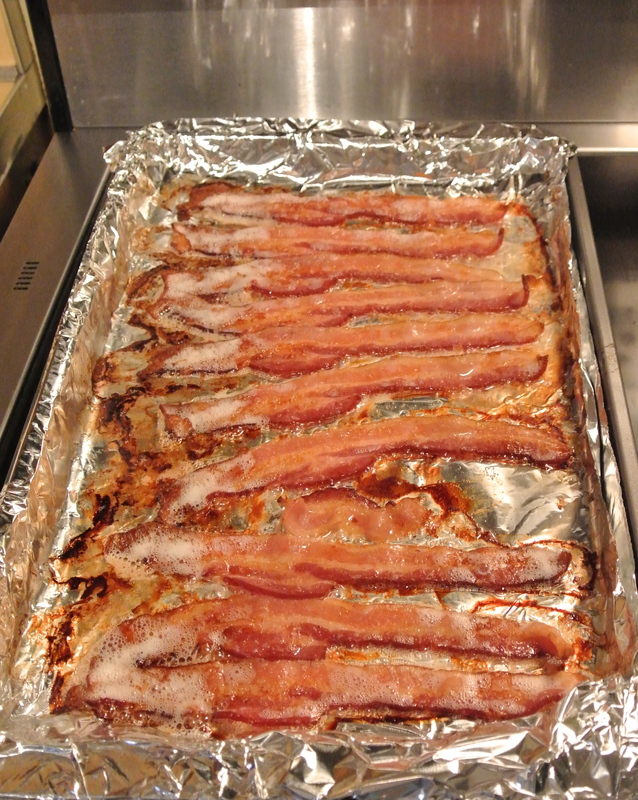 the oven is the ONLY way i cook baco–love it.